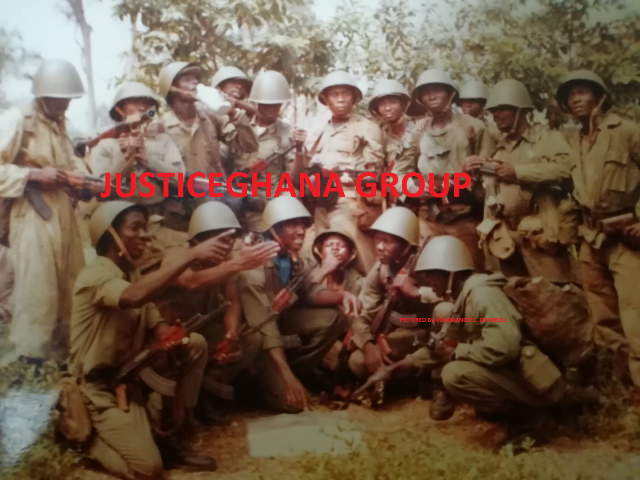 Lt. Col Johnny Eshun, Secretary of the Board of Enquiry set up to find the cause of death of Alhaji Issah Mobilla, yesterday added a new twist to the trial when he confirmed Private Eric Modzaka’s statement that he was not at Kamina Barracks at the time the deceased was brought. He made these admissions before an Accra Fast Track High Court presided over by Justice Habib Logoh, where Modzaka and Cpl. Yaw Appiah are standing trial in connection with the death of the former Regional Chairman of the Convention People’s Party. The witness, when under cross-examination by Thadeus Sory, counsel for the accused persons, admitted that based on the statements of all the witnesses, Modzaka was not present when the alleged beating of Mobilla took place. When asked if had received any contrary evidence in the course of the enquiry sitting, he answered in the negative. It would be recalled that in 2010, during the first trial, Modzaka had told the court that he wished to call an alibi because he was not at Kamina when Mobilla was beaten but the state brought in a witness, who said the alibi was false and that the accused person was present when the incident occurred. However, under cross-examination, the said witness admitted that he had contacted only one alibi but concluded the accused person had lied. Mr. Eshun read portions of the enquiry’s report finding, which said the deceased was beaten in a yard by several persons. When asked if any of the witnesses had stated that Mobilla was beaten in a room, he answered in the negative. In his examination-in-chief led by the principal state attorney, Penelope Ann Mamattah, the enquiry secretary mentioned the names of several others who the board had recommended for punishment, including Appiah. The lieutenant also read out the names of persons who they believed had lied under oath and should therefore be punished. They included Appiah and a suspect at large, Seth Goka. The state afterwards addressed the seven-member jury and read out the statutory statements of the accused persons and said while Modzaka said he had alibi, Appiah said he had none. Ms. Mamattah informed the court that the state had closed its case, to which counsel for the accused persons said they would file a submission of no case. The matter has been adjourned to June 23, 2012. Detective Sgt. Matthias Abognoore, the police officer who claimed he was sacked from the service after the death of Issah Mobilla for alleged misconduct, at the last hearing, had a hard time explaining to the court why his letters to the police service concerning his reinstatement contained two different dates. He later told the court that he did not use the real format in typing the letter initially and had to quickly type a different letter when his attention was drawn to the error. This prompted Thadeus Sory, who was cross-examining the sergeant, to ask why he was giving two different reasons for why the dates were different. Abognoore said the correct date on which he wrote the letter was September 28, 2009 but because he wrote it in a hurry, he was told to re-write it when it was delivered because the format was wrong. The policeman said he consequently went to a secretary to type the letter for him and that was why the first letter looked different. He said the other date, September 29, 2009, was as a result of a typographical error. The witness insisted it was the same letter he presented to the police service even though he changed the format, adding that the words were the same, prompting Sory to put it to him that since the letters were written by him, he was the one who dated them differently. The police officer was asked why he brought documents to court but failed to bring excerpts of the letter on the processes prior to his dismissal. In response, he said the documents the defence counsel wanted was with a certain Alhaji Nuhu Billa, his lawyer, and when he checked his documents, he realized that the one counsel wanted was with the said Alhaji, who is now deceased. Thadeus then put it to him that he only brought the documents which he thought would make him feel comfortable, to which the police officer said he brought the letters which were in his possession. In addition, Thadeus put it to him that he did not tell the court when he gave evidence in 2010 that Mobilla groaned when he was ordered by the accused persons to raise his legs up against the wall, with his head and hands down. Counsel for the accused persons suggested that the evidence recently given by the witness now included the fact that Mobilla groaned. Counsel for the soldiers said this made him wonder which account was more accurate. The witness noted he could not remember all that he said then because it had been a while, adding that he had told the court all he could remember.